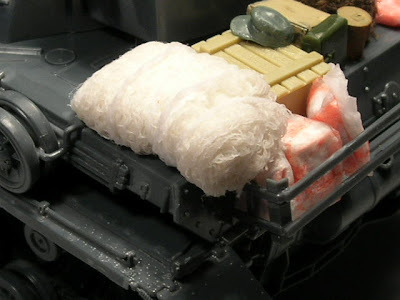 segunda guerra mundial en miniatura: Fardos y red en el Panzer IV. 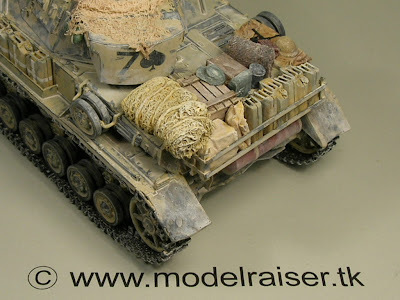 Fardos y red en el Panzer IV. 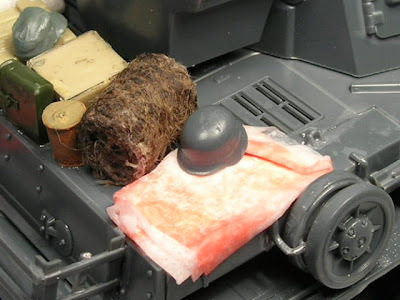 The canvas and bundle in this Panzer IV was made with tissue soaked in water diluted white glue. The net was made with a cotton bandage soaked in same liquid. When it dries it harden and can be painted. 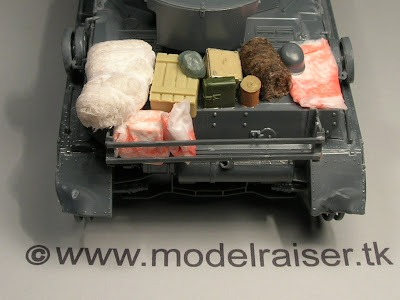 posted by autor @ 2:45 p. m.
Chumberas de pasta de modelar.